Google becomes Alphabet: Page, Brin, form new company, Pichai new Google CEO. Google Is Now Alphabet. Here’s Why It Had to Evolve. 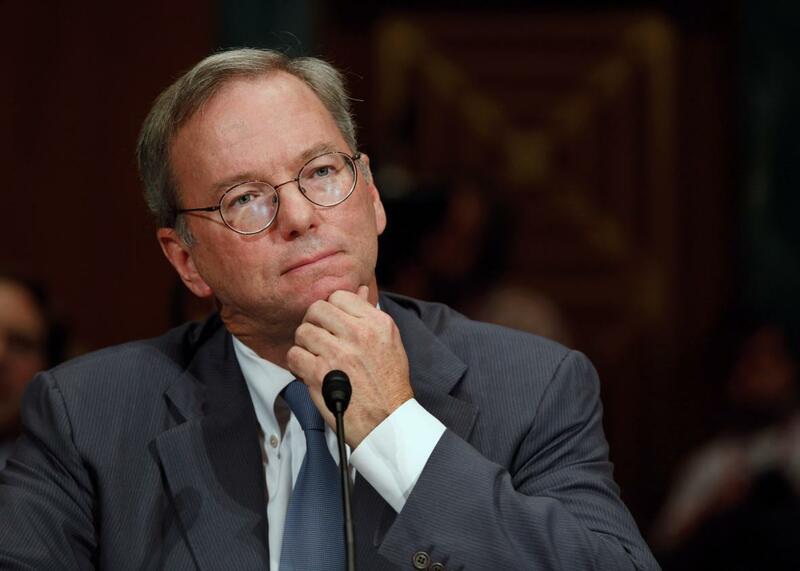 How Google chairman Eric Schmidt might possibly have reacted to the news. Seemingly out of the blue on Monday, Google announced that it is forming a new company, called Alphabet. Alphabet won’t be part of Google. Rather, Google will become part of Alphabet. Are you confused yet? Google CEO and co-founder Larry Page will step down (or up?) from the top post at Google proper and become CEO of Alphabet. Fellow Google co-founder Sergey Brin will become Alphabet’s president. Longtime Google executive Sundar Pichai is now Google’s CEO. Alphabet Inc. will replace Google Inc. as the publicly traded company, Page added, and all shares of Google are now shares of Alphabet instead. Google becomes a wholly owned subsidiary of Alphabet. My initial thought as to the impetus for the move: Page and Brin, who are big-thinking inventors and entrepreneurs by nature and choice, have grown tired of having to justify their moonshots to Google investors who think the company should stay focused on profitable fields like search and video. They’ll still have to do that now that the company is named Alphabet, of course. But changing the company’s name and structure may be their way of signaling that it is fundamentally a moonshot factory, and always will be. For Sergey and me this is a very exciting new chapter in the life of Google—the birth of Alphabet. We liked the name Alphabet because it means a collection of letters that represent language, one of humanity’s most important innovations, and is the core of how we index with Google search! We also like that it means alpha-bet (Alpha is investment return above benchmark), which we strive for! I should add that we are not intending for this to be a big consumer brand with related products—the whole point is that Alphabet companies should have independence and develop their own brands. Alphabet could be seen as Page’s answer to Buffett’s Berkshire Hathaway: a high-tech holding company for the 21st century. There are differences, however. Tech industry analyst Jan Dawson, who has been skeptical of the Berkshire Hathaway analogy from the start, notes that Page does not appear to share Buffett’s acumen as an investor. He picks his projects with an eye toward their potential long-term impact on humanity, which is quite different from Buffett’s bargain hunting. Many of Alphabet’s ventures seem unlikely to be profitable anytime soon, which will make it difficult to run them like standalone businesses. For that matter, many will likely fail. But there’s also the chance that some will succeed beyond anyone’s expectations. Self-driving cars, for instance, have the potential to revolutionize the auto industry, although that outcome remains far from assured. In that sense, Alphabet’s value proposition for investors might be more akin to that of the world’s largest venture capital firm. The “bet” in Alphabet is that the payoff from those successes will more than cover the losses. It appears to be a bet that Wall Street is willing to take, at least for now. The company’s shares jumped 6 percent after hours, adding tens of billions of dollars to its value. Who Is Sundar Pichai, the New CEO of Google?